What applause looks like in print! "Eric was a hit in our children's lounge at our wedding. He made the children feel included and special. 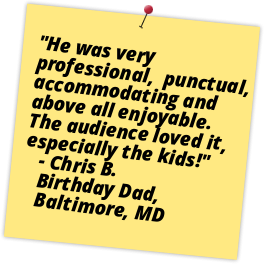 He got rave reviews from the entire crowd and we can not wait to use Eric's services again for another special event. From the very beginning Eric was extremely professional and great to work with. We highly recommend Eric." "Mr. Henning performed at our annual family Holiday event and was very professional and easy to work with. His show was tailored to accommodate a extremely large group and varied age groups. He provided us with a captivating performance that included an amazing and beautiful finale of confetti snow. He kept the audience engaged and entertained for the entire 45 min show. 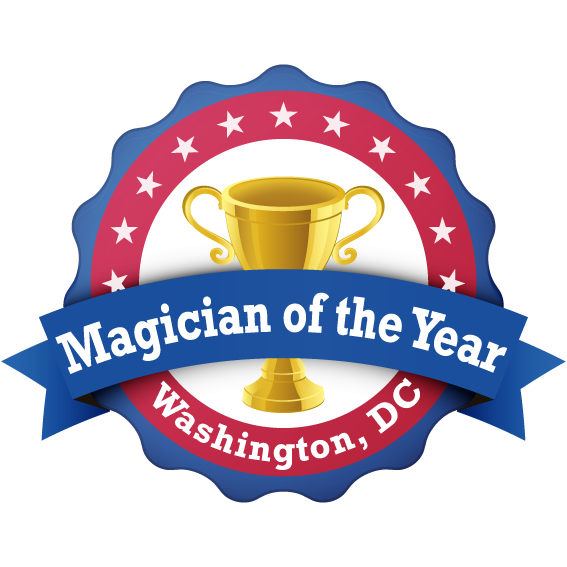 Mr. Henning is an amazing magician and I would highly recommend him for any type of event." "Yesterday at the synagogue, everyone enjoyed first class entertainment. Eric was absolutely outstanding, amazing and humorous magician that entertained a diverse crowd, and involved many children and parents in his performance. He was impressive both as a comedian and magician. I would highly recommend him to anyone." "Mr. Henning provided a dynamic magic show for our Children's Holiday Party. He wowed the crowd with his mystifying magic tricks. We definitely will book his services for future events." "Eric is not only a master magician, he is a master entertainer. The performance was truly intriguing. He captured the full attention of everyone in the room, ages ranged from 7 to 92. Eric made an instant connection with everyone in the audience. He was a hit without a doubt and I'm sure he will be getting follow on bookings from the members of the audience." Enter your info below and click 'GET INFO!'. You’ll immediately see details of what I offer right away, including prices! If you would prefer not to provide your email address at this time, you can call me at 800-485-0029. I would be more than happy to speak with you about my different packages and pricing options and answer any questions you may have. However, due to my busy performance schedule, the fastest way to receive all pricing info, is by filling out the form above. 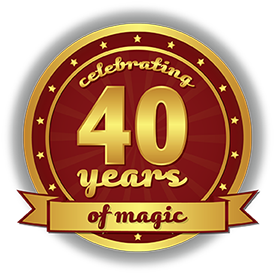 Get Washington's most AMAZING FAMILY ENTERTAINER, with over 30 years of experience amazing kids AND adults! Eric Henning has been the featured family entertainer at First Night Annapolis, First Night Talbot, and has performed TWICE at the White House Easter Egg Roll. His experience includes thousands of school, church and family events. 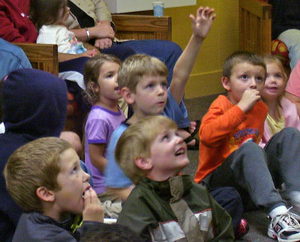 Special shows designed for birthdays, day care, schools, Scouts and churches. Excellent Rates!